Do you fancy the sweet and fresh scent of flowers? The beauty and elegance of such scent are awesome, able to capture the heart of almost every person. 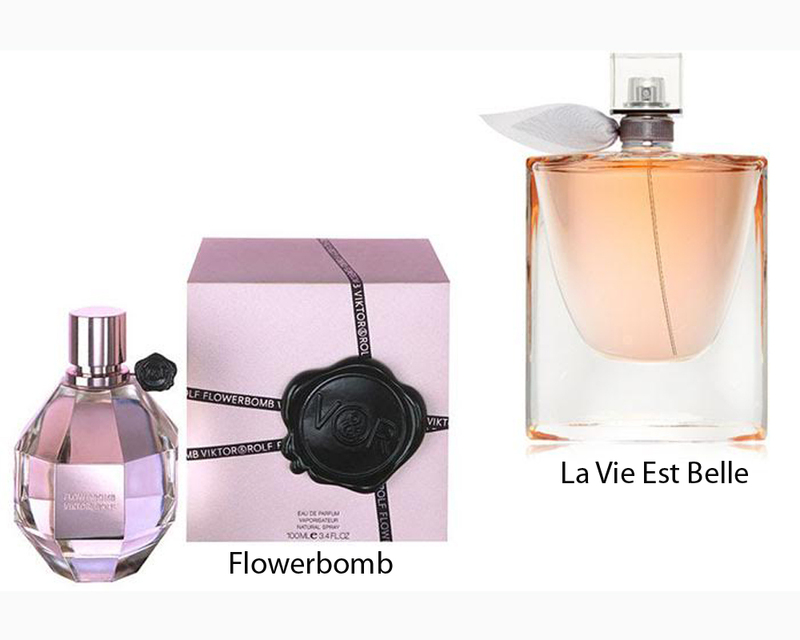 If you are seeking for a perfume that can provide you the aroma, then you make no mistake by considering to get either Flowerbomb or La Vie Est Belle. These two fragrances are both extremely popular on the market because of their excellent representation. Furthermore, Flowerbomb and La Vie Est Belle are both being sold at roughly similar prices. So, which one should you get? Flowerbomb is a perfume made by Viktor & Rolf. As the name suggests, it is such an explosive bouquet of sweet and fresh notes. Introduced into the market for the first time in 2005 as an oriental perfume, Flowerbomb has quickly risen to fame. It opens up with the top notes of bergamot and green tea, creating a calming and soothing atmosphere. The floral and opulent heart notes then come up, featuring a sophisticated blend of jasmine and rose, also hints of orchid and freesia. The base notes of musk and patchouli then wrap the elegance that the perfume brings. “Life is beautiful,” that is the translation of the French expression that is used as the name of this perfume. Crafted by Lancome, La Vie Est Belle is designed to actualize the ideas of simple and natural beauty, freedom in making a life vision, and a kind outlook on life. The smell of this fragrance is somewhat similar to Flowerbomb; however, it is somewhat on the sweeter side. The opening delivers fruity flavors of blackcurrant and pear. Featuring iris as the key ingredient, it is also surrounded with a blend of jasmine and orange, while the base is warm, gourmand, and powdery, combining tonka bean, patchouli, vanilla, and praline. Despite the similarities, the two products seem to emphasize on different aspects. Flowerbomb should be your choice for a more elegant and mature scent. La Vie Est Belle, on the other hand, is great if you want to appear young, sweet, and fresh.